Some of you think, perhaps, because you have been to a place of worship from your youth up, and have been doing your best to lead reputable and respectable lives, that perhaps you shall obtain salvation as a matter of course; but it is not so. You must learn that saving grace can only come to you as the gift of mercy. I have heard it said, and I have been horrified when I have heard so gross a falsehood, that there is in man something good, noble, spiritual; and that the object of the Christian minister in delivering the gospel is to take away the ignorance and folly that may overlay this innate nobility, and so to bring out and train up the precious vital spiritual life which lays latent within the human heart. This is one of the most foolish of all lies! There is nothing spiritually good in man whatever by nature. The carnal mind is at enmity against God. We might rake the ash heap of human nature a long time before we found the priceless jewel of spiritual life concealed within it. Man is dead in sin. How long will you search the sepulcher before you shall discover life within the ribs of death? Long enough may you ransack yonder mouldering bones in the cemetery, before you shall discover the germs of immortality within the ashes of the departed. If man were but faint, we might, perhaps, by a sort of 'spiritual friction' or electricity, arouse him to life. If he were lying in a state of coma, we might, by some 'gracious surgery', at length rekindle the embers, and make the life burn forth in its strength. But when we are informed, over and over again, by the Holy Spirit himself, that man is not only dead, but that he is corrupt, where is the hope of finding spiritual life within him? 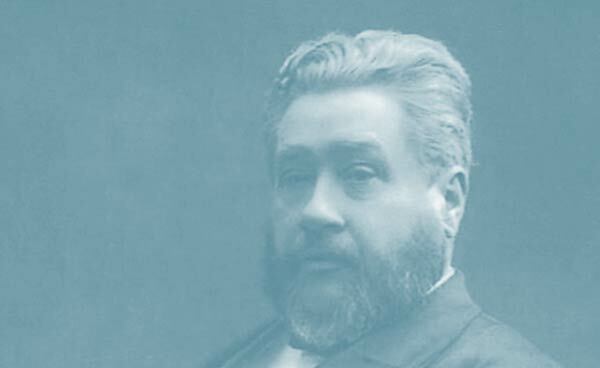 The living and incorruptible seed of grace is not produced in men, by efforts of their own, through the imitation of good example, or through early instruction, or through gradual reform. Though for centuries the dead should be located in the neighborhood of the living, they will not thereby come to life. For many a day might you read a homily upon life in the ears of the corpse before you shall thereby cause the skeleton to make any effort towards vitality. Spiritual life is a gift, wholly a gift. It is given according to the good will and purpose of God. If the Lord gives this spiritual life to some and not to others, he is perfectly free to do as he wills with his own. God will be debtor to no man. He owes nothing to sinful man but wrath! Justice awards me nothing but death. Sovereign grace alone can bring me life. If God chooses according to his good pleasure to give a new and spiritual life to his chosen, none shall dare to question him.